Virtually everybody knows that botulinum toxin injections can be used for cosmetic aesthetic purposes. From plumping lips and dealing with wrinkles, to stopping excessive sweating, botulinum toxin treatments have been available for decades; however, there are several other medical uses that this treatment can be put to. Botulinum toxin is a paralysing agent produced by Clostridium botulinum bacteria. When it is injected in tiny quantities into affected muscles, it can be used to treat a variety of medical conditions and muscle spasms. Grinding teeth is a common complaint that can cause a great deal of pain and tooth damage. Botulinum toxin injections into the muscles that cause the grinding will weaken the nerve impulses to the jaw, and will therefore lessen the damaging effects. Neuralgia is caused by nerve damage or dysfunction, and is characterised by intense shooting pain that radiates along the nerve pathway. This pain can either come and go, or be constant and can result from complications from shingles – postherpetic neuralgia; trigeminal neuralgia – a disorder of the facial sensory nerves, and occipital neuralgia – a condition with migraine-like symptoms. These problems can all be treated with botulinum injections in the same way as migraines. Migraines are extremely painful and can be very debilitating. 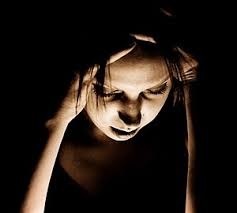 Chronic migraine is diagnosed in a person who has suffered from a migraine headache for fifteen days per month over a three month period. In America, the FDA approved the use of botulinum toxin injections for chronic migraines on October 15th 2010. At the onset of a migraine, which can typically last from four hours to three days, botulinum toxin is injected into the neck, shoulders, forehead and temples of the patient. The injection acts as a block – stopping pain signals from reaching the nerve endings. Cerebral palsy, multiple sclerosis, stroke, spinal cord injuries and traumatic brain injuries can all cause involuntary tightening of the muscles. In the same way that a gummy smile can be treated with botulinum toxin injections that relax the muscles, all of these conditions can be alleviated and a great deal of pain can be eliminated. Many people suffer with an overactive bladder or urinary incontinence. With the administration of botulinum toxin injections into the wall of the bladder, the muscles can be allowed to relax and the sudden urge to urinate can be reduced. As an added bonus this can result in better sleep for sufferers who do not have to get up in the middle of the night to use the bathroom. Botulinum toxin injections are available in all of our clinics. If you would like some more information on the treatments that we can offer you, please call and book an appointment for a free medical assessment and consultation. Alternatively, if you know someone who would love to have one of these treatments, why not pick the ultimate gift and buy a voucher for the treatment of choice of the recipient.